Calms and Reconnects You to Your Core! Inner Child Essential Oil is a very soothing blend and smells wonderful! It was specifically designed for us to reconnect with our inner child or our inner self that is at the core of who we are. So often this is cut off unknowingly because we are subconsciously still trying to still please our parents, our teachers, or anyone else instead of really looking at ourselves. This is particularly true when a child or animal has been neglected or misused. This could be stemming from the effects of emotional stress as well. I personally can't say enough about this oil. When I first started using the oils, I kept Inner Child essential oil on me at all times. 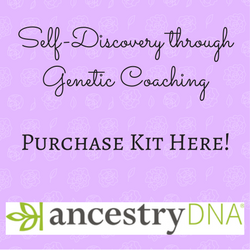 It helped me accept my life as it was, rather than always blaming my childhood for everything. I didn't want to blame, but I didn't know how to move forward either. At the time, Inner Child essential oil felt essential oil felt like a warm security blanket for me. And in that space I was able to look at and release many of the things that were holding me back! Today, I don't use it as much as I used to, but I have a sincere gratitude to it for helping me through some very difficult transitions. I still love the fragrance and like to use it when I find myself working too hard! I often interchange SARA essential oil blend with Inner Child and use and use Release with both oils for emotional clearing or release work. If you are working with SARA and feel there is still something that needs to be released or you need to get deeper, I would try Inner Child. Also, if there are signs of suppression, combine it with Joy or one of the other oils in the stress section. Remember, that most of our conditioning whether it is an animal or human, is programmed when we are children! This emotional patterning drives us subconsciously in our daily lives. But we don't have to be a victim of that; we can release this patterning and move forward with our lives! Essential oils are that loving support we need to move forward! This is a fun and easy reference guide for Inner Child Essential Oil Blend. It will tell you how to use your oil blend and what to use it for. It will also provide you with some fun tips and testimonials! Want to Purchase Therapeutic Inner Child Essential Oil? Go to the Oil Shop! Buy Inner Child Oil Here! What is in Inner Child Essential Oil Blend? 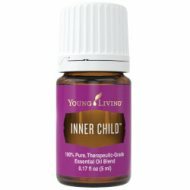 There are nine different oils in Inner Child Blend. They are listed below along with a brief description of each oil. Blue Tansy Essential Oil (Tanacetum annuum) is has a slightly sweet and herbaceous aroma. Tansy plants have several species and this one is also called Moroccan Chamomile or Annual Tansy. Emotionally, it combats anger and negative emotions. Ylang Ylang Essential Oil (Cananga odorata) has a long history in skin and hair care products, particularly in Asia, where it is used to promote healthy, luxuriant hair. It also restores confidence and equilibrium. Jasmine Absolute (Jasminum officinale) as a wonderful aroma that relieves stress and uplifts the mind and body! It is also beneficial for the skin and supportive of women's challenges*. It has been used throughout history for romance and attraction and for balancing the feminine energy of the body. Tangerine Essential Oil (Citrus reticulata) contains esters and aldehydes that are calming. Rich in d-limonene it also helps to maintain a healthy lifestyle regimen. Orange Essential Oil (Citrus sinensis) is rich in the d-limonene and may support cellular function*. Also has calming effects and may be used for feelings of peace. Spruce Essential Oil (Picea mariana) is grounding and releasing. Lemongrass Essential Oil (Cymbopobon nardus) The Benefits of Lemongrass include supports healthy digestive system*. Contains the naturally occurring constituent geranial. Neroli or Orange Blossom Oil (Citrus aurantium amara) Known for its transformational effects on the mind and spirit it is a highly regarded oil used in Ancient Egypt. When using this oil, you will feel very present. What are the Documented Uses for Inner Child Essential Oil? Balance, childhood issues, clearing, deprogramming, fear, grief, guilt, inner knowing and awareness, negative experiences, obsessiveness, personal growth, sorrow and weight loss (emotional). What is the Aromatic Affect on the Mind? Calming and balancing. What is the Spiritual Influence? When any of Gods creatures suffer negative experiences the soul can become fractured. Slowly and surely we lose part of ourselves or give it away to others unknowingly. Often times we become so broken that people show signs of being shut down. Or later in life we start acting out in ways that don't serve us. When we spend our life serving others needs instead of our own we get further and further away from our true self and our true purpose. Inner Child is one of the blends that will help bring us back to the core of who we are. When we learn to start loving and knowing our own soul, we can truly live a fulfilling life. What Chakra is Affected? Opens the root, sacral and solar plexus chakras. Can this oil be used for Animals? Yes, I have had great results with this oil. If there are signs of dog or horse neglect, then this oil will help along with SARA and Joy in re-establishing their true divine nature. Also see the section on horse emotions. Note about Animals: Certain oils can be very toxic to cats. Citrus products and oils in particular if not of therapeutic grade! Please consult your vet if you are not sure about applying any essential oil to your pet. What are the Safety Precautions? Inner Child essential oil is generally safe for children over 2 years of age. However, this oil is phototoxic avoid direct exposure to sunlight for up to 12 hours after use. Could result in skin sensitivity. Wear Inner Child as an essential oil perfume. It will keep you relaxed and you will smell lovely!